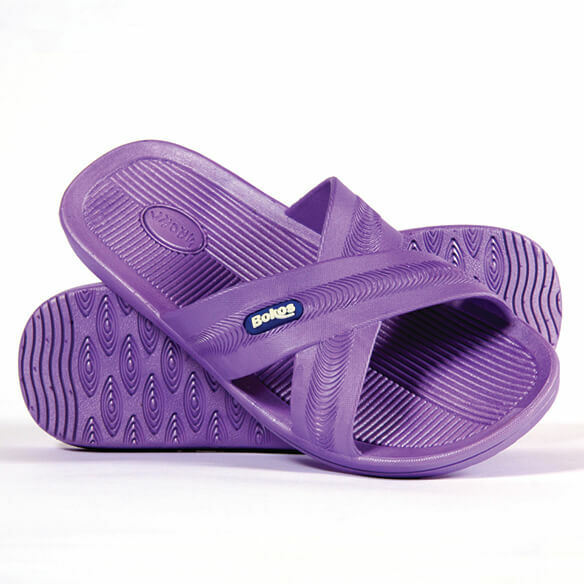 Versatile, easy-care Bokos women's rubber sandals take you from poolside to casual outings in colorful comfort. 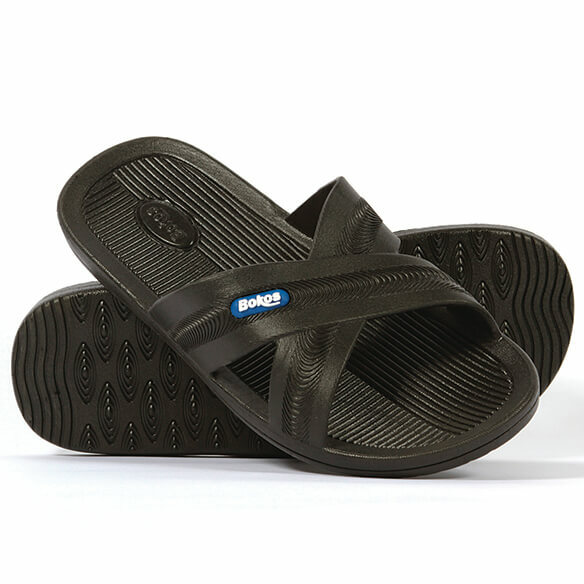 Flexible, one-piece design adds comfort to every step, with a rubberized sole that grips surfaces for non-slip stability. 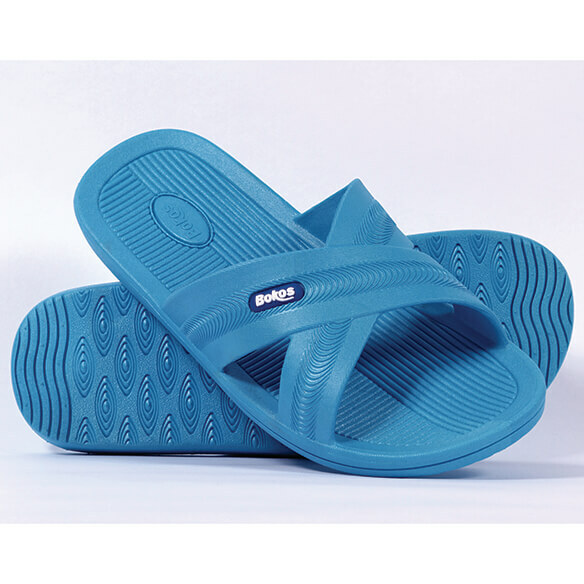 Women's sandals help eliminate odors, clean like a dream and dry quickly. Made of durable, non-porous rubber. Choose from 4 colors: black, Carolina blue, melon or lavender. Available in whole sizes 6–10. I love my new sandals. Just the right fit and color. Roomy without being big, an excellent shower or pool sandal. I would like for the sandal to be a little more shiny as the picture shows. Sorry i didn't get a 10 but was reading reviews online and a number of people said they ran large. Not the case. Shoe is tight and short. 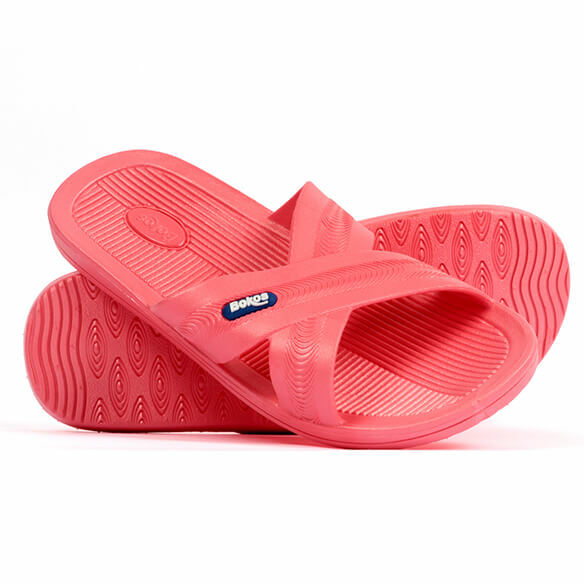 Super comfy and long-lasting slides! Great for post running and every day. Good support and maintain shape. Looks comfortable and can be used in the shower especially when traveling. Selected because I use the pool 3 days a week and other pair of sandals are old, worn-out. for around the house, better than slippers?